Accommodates 2 guests. Enjoy the superb setting which inspired John Ruskin. Recently renovated, self-catering. Situated on the upper floor, With superb views over Coniston Water and to the Lake District fells beyond. 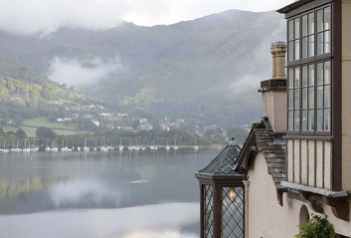 It has beautiful interiors with original artworks and is furnished to the highest standard for a comfortable stay: one double bedroom, large well equipped kitchen/diner, a Drawing Room and a spacious bathroom with one of the best views in the Lake District. Accommodates up to 9 guests. 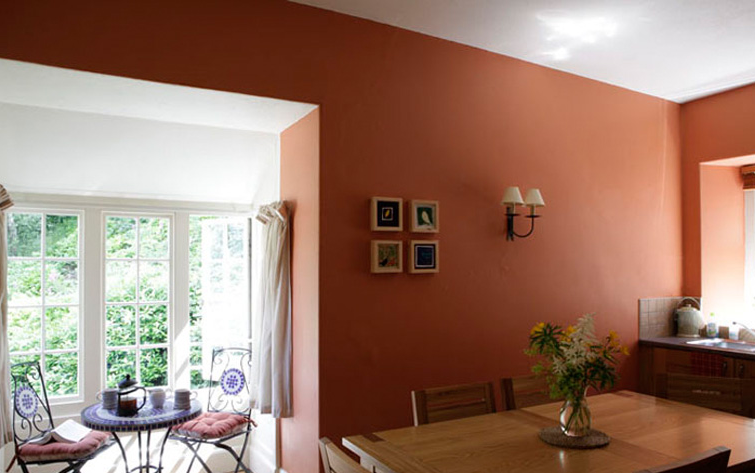 Self-catering holiday cottage with spectacular views of Coniston Water in the heart of the Lake District. Recently refurbished: 2 double bedrooms, 2 twin bedrooms and a single bedroom, large kitchen-dining-sitting room with wood burning stove, 2 shower rooms, one bathroom and another separate WC; drying room; patio area. Four of the five bedrooms look out across the lake and have spectacular views. Ideal for family/friends group of 4 to 9 people. The Lodge is centrally heated and a generous supply of logs is provided for the wood burning stove. Facilities include bed linen and towels, colour TV with CD and DVD player. Kayaks, canoes and small sailing dinghies can be launched from our shore.